You'll Utilize Lease Abstraction Tools If You Know What's Good for You! While that title might seem like an extreme saying to apply to lease abstraction, it’s really a serious topic. Hidden fees have been costing Americans millions for years. And the leasing industry specifically is a big contributor to that total. Whether you’re renting your first apartment, or regularly navigating the complicated elements of a commercial lease for your growing business, (or even leasing a set of wheels), protect yourself from hidden fees! Knowing about and utilizing lease abstraction tools can help to save you years of headaches and tons of money. “Lease Abstraction” -What does that even mean? Lease abstraction is the process of summarizing the potentially many pages of a lease to highlight the most important terms. A proper abstract will review the fine print, too. Like abstracting rotten teeth, the process pulls the rotten terms and conditions from your contract (as well as other details worth noting). This allows you to review these terms and potentially negotiate to remove any hidden or additional costs. Lease abstraction helps to facilitate the due diligence and decision making that is absolutely necessary when signing a leasing contract. Many real estate lawyers recommend using a lease abstraction service before signing on any dotted lines. But that’s not surprising, because, like we mentioned, the hidden fee industry in America is actually a big deal. Getting swindled by the fine print can be detrimental to the success of a company’s financial portfolio as well as to personal finances. Including everything from ridiculous property stipulation clauses to excessive administration fees, leases are crawling with hidden terms and conditions, and the fine print is mostly to blame. Leases are complicated and include phrases like “refer to subparagraph B from definition 19” to keep you oblivious. Most leases are long, full of jargon, and written in the landlord’s favor. It is possible to learn the art of lease abstraction yourself, or at least research what you should be looking for. 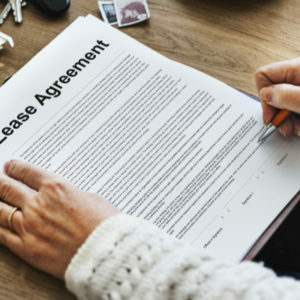 We’ve already covered some of the many hidden costs of apartment lease contracts that can hide in the fine print, but it’s important to remember that they vary widely per lease. There are also several questions to ask when leasing office space that can help to caution you of the fine print. But unless you have tons of free time lying around to read through minuscule, technical words (and who does? ), you should utilize any lease abstraction tools. Typically, having a lawyer review your lease could cost you upwards of $850, depending on page length or hours. Some law firms have developed their own expensive lease abstraction software. But these days, you know, there’s a handy, free app for everything. That’s where FeeBelly, the fine print detective, comes in to save the day! Did you ever wish you could skip the tedious reading and still be able to sign with peace of mind? 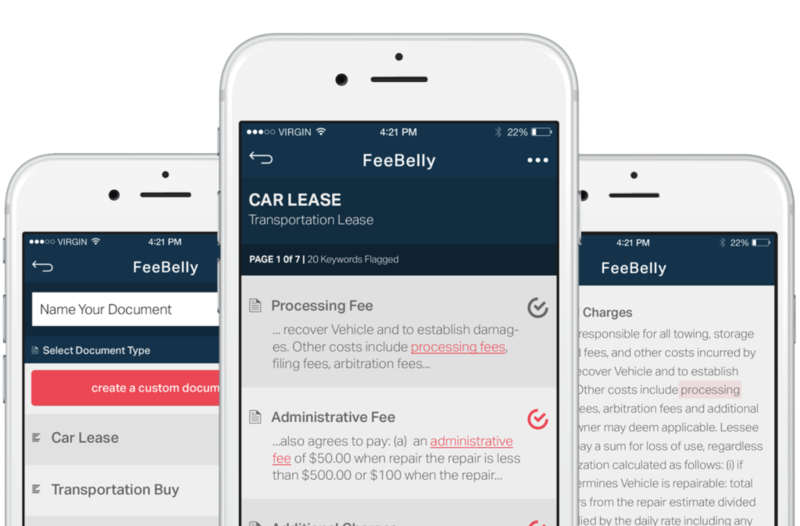 The FeeBelly app offers a reasonable option for lease abstraction. Our easy-to-use interface does not require a full understanding of the legal terms that may be present in the contract. The app does the hard work for you! In three easy steps, your leasing experience becomes transparent and all fine print gimmicks are exposed. 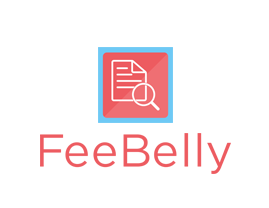 FeeBelly provides a lease abstract that is easy to review and allows negotiation opportunities. Property managers, companies, and individuals alike could save hundreds of hours on lease review projects by utilizing lease abstraction software. Take Action and Save Some $$$! Think about your options – eat the cost of hidden fees, pay for an expensive lawyer, or use a free app. The cost of lawyer services and the typical costs hidden in leasing contracts can really add up. With those factors in mind, the average savings of using lease abstraction tools could be in the thousands. Add the cost of time and energy spent and it’s a ‘no-brainer’ to use some type of lease abstraction software. You deserve to sit back and let someone else (FeeBelly!) take care of the nitty-gritty!